• Chopped fresh or dried cayenne pepper ‘to taste’. Can be whole or powdered. ‘ To Taste’ means should be hot, but not so hot you can’t tolerate it. Better to make it a little milder than to hot; you can always add more pepper later if necessary. • Optional ingredients; Turmeric, Echinacea, cinnamon, etc. 1. Place herbs in a half-gallon canning jar and cover with enough raw unpasteurized apple cider vinegar to cover the herbs by at least three to four inches. Cover tightly with a tight fitting lid. 2. Place jar in a warm place and let for three to four weeks. Best to shake every day to help in the maceration process. 3. After three to four weeks, strain out the herbs, and reserve the liquid. 5. Rebottle and enjoy! 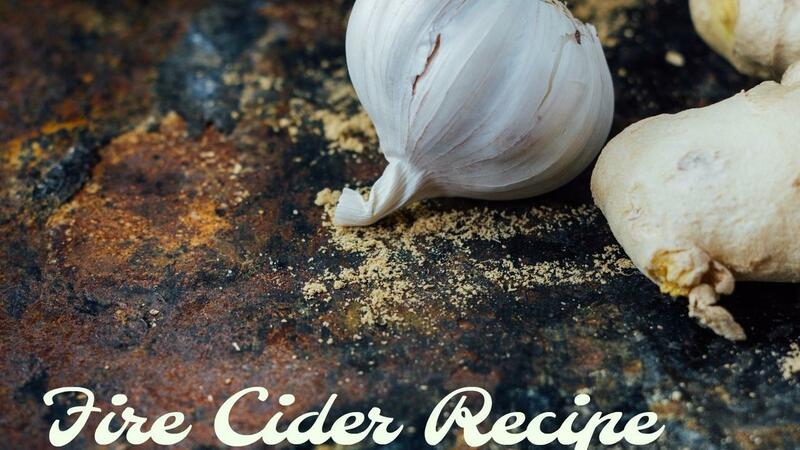 Fire Cider will keep for several months unrefrigerated if stored in a cool pantry. But it’s better to store in the refrigerator if you’ve room. A small shot glass daily serves as an excellent tonic, or take teaspoons if you feel a cold coming on. I'm making a few batches this weekend and giving them as holiday gifts.